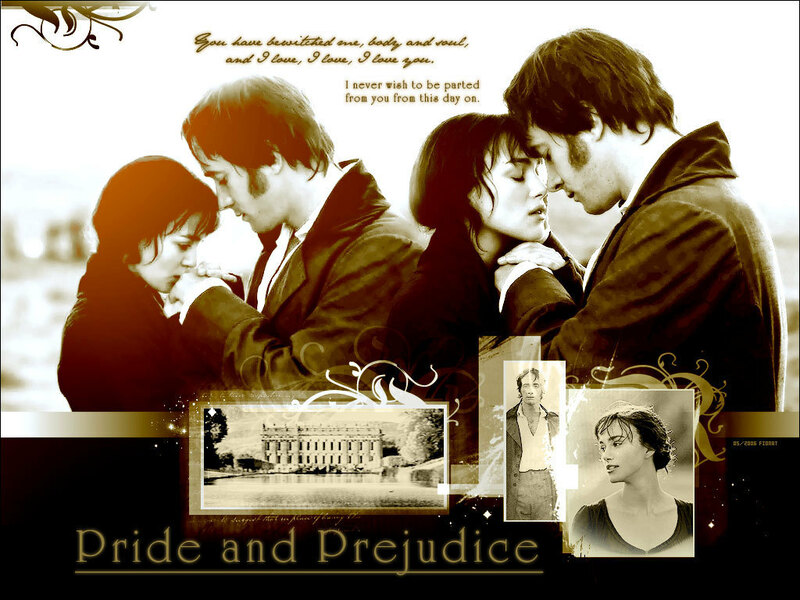 Lizzie & Darcy. . HD Wallpaper and background images in the Pride and Prejudice club tagged: darcy and elizabeth pride and prejudice wallpaper p&p 2005 deviant art. This Pride and Prejudice wallpaper might contain newspaper, paper, magazine, tabloid, rag, sign, poster, text, and chalkboard. That scene is sooooo romantic!